Journaling is just another way of expressing yourself. 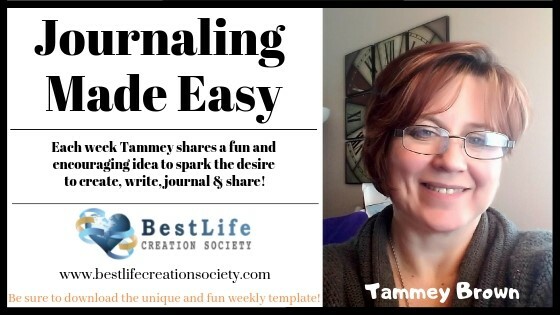 There aren’t any rules really and there are so many different ways to have fun with journaling and journals! Change the word to whatever feels good and encourages you! Maybe you prefer idea book or art portfolio? Perhaps diary strikes a cord or maybe just simply calling it your notebook? Whatever you want to name it, it’s simply about expressing you in a way that feels uplifiting and encouraging! Painting, poetry, collages, free writing, scrapbooking, vision boards, vision books, and diary’s are all a great way to journal. The inspirations shared below are exciting ways to spark an idea. Select (purchase or create) an album, notebook or medium of your choice. What would you enjoy working with? That is awesome, us that as anything that inspires you is the best choice. This is meant to be a fun and uplifting adventure and it’s ALL right! The first piece, entry, page might include a current photo and brief bio after all, this page is all about YOU. This might Include your full name, today’s date, and why you are creating the project. It might be fun to share what inspires you. Whatever it is that feels good, go with it! It’s all good! All of it. Grab what colors of paint jump out at you and cover your page with them! Doodle – I love to doodle! Do you? Simply let the pencil go and then for fun you could fill in the spaces with color. Who named you? Why did they name you that? Where did your middle name come from? Are there any names handed down? Is your name difficult to pronounce – spell it phonetically for future generations? Do you have a nickname? Did you give anyone in your family one? Why? This would be a good time to include your signature. Yes, signature! Simply create a fun page all about your name. You could do your first, middle, last or nick name or all of the above! You could also include any family names that are handed down through the generations. Did your surname change when your ancestors came to America or as the generations handed it own? Did it change because those that were documenting it couldn’t spell or pronounce it? Another idea is to spell out your name and use fun words that describe you. Write your name in big block letters and then inside of the letters write all of the amazing attributes that make you so wonderful! Add colors and sparkles and whatever feels good to you! Just like in that fun song, name your favorite things! Favorite food, drink, recipe or restaurant? Favorite author, book, or most impactful book? Favorite pet or type of animal? Favorite birthday, birthday party, birthday gift? Family get together? Where is your favorite quiet place? Where do you go to relax and breathe? What inspires you? What do you collect? Why do you collect that? What does it inspire in you? What do you love to do, share, write about, or create? What is your favorite accomplishment or something that you did that makes you smile every time you think about it?